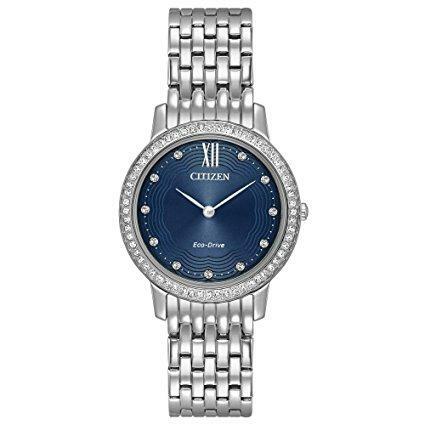 Citizen FE2070-84N womens Dress floral motif blue dial steel bracelet Eco-Drive watch is offered, in a polished solid stainless steel case. This model is made in dimensions of 31mm across and 7mm high. 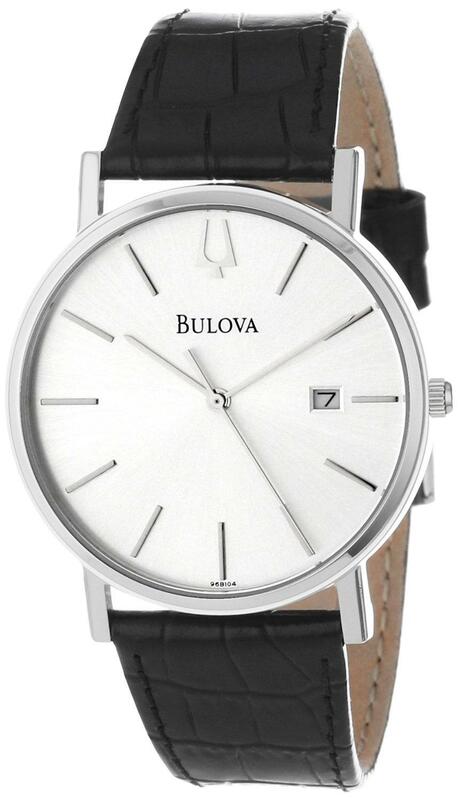 This watch has a fixed bezel and a smooth push/pull main crown. 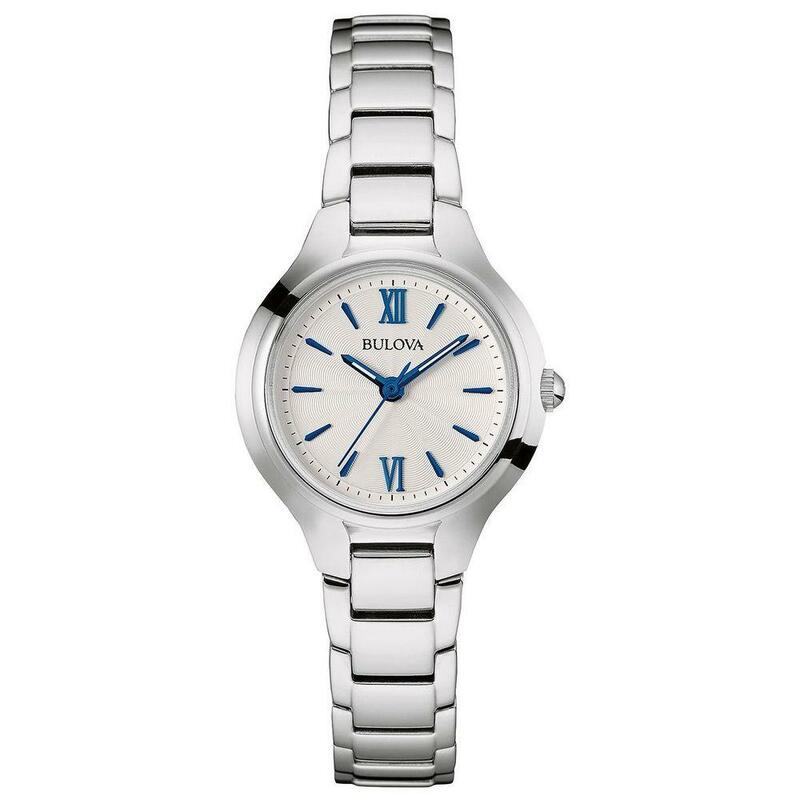 Citizen FE2070-84N is fitted with a silver stainless steel bracelet. Securing the bracelet is a deployment push button clasp made in stainless steel. 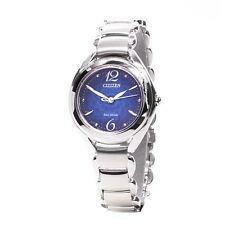 The dial is floral motif blue and it features conservatively sized, dot and index hour markers and silver tone luminous leaf shaped hands for exceptional readability. This model has a sapphire crystal for scratch resistance. Driving this fine timepiece is Japanese made Eco-Drive J730 mechanism. The water resistance stands at 50 meters. 5 year limited warranty.